November is NaNoWriMo (National Novel Writing Month), and we have some suggestions to keep or get you inspired! Whether you’re looking for for fast-paced, high stakes futures, dangerous romantic dynamics, or a ponderous look into one’s life, we’re sure you’ll like one of the below listed (or all!). 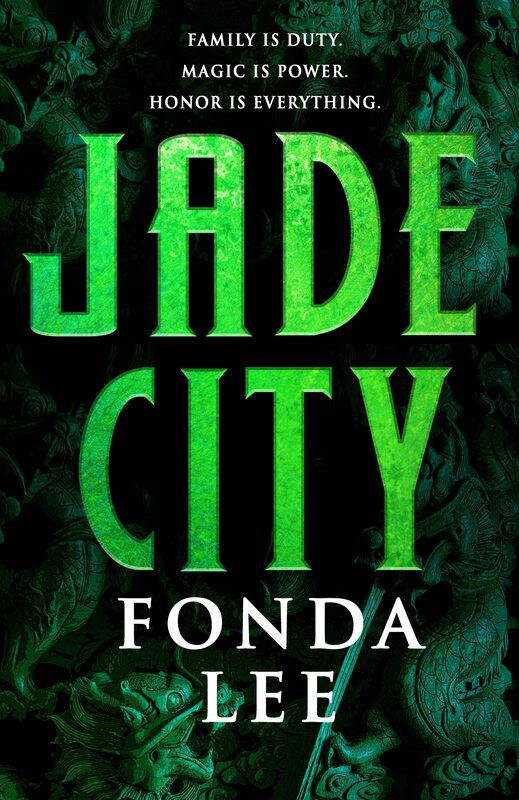 Jade is the lifeblood of the island of Kekon. It has been mined, traded, stolen, and killed for — and for centuries, honorable Green Bone warriors like the Kaul family have used it to enhance their magical abilities and defend the island from foreign invasion.Now, the war is over and a new generation of Kauls vies for control of Kekon’s bustling capital city. They care about nothing but protecting their own, cornering the jade market, and defending the districts under their protection. Ancient tradition has little place in this rapidly changing nation.When a powerful new drug emerges that lets anyone — even foreigners — wield jade, the simmering tension between the Kauls and the rival Ayt family erupts into open violence. The outcome of this clan war will determine the fate of all Green Bones — from their grandest patriarch to the lowliest motorcycle runner on the streets — and of Kekon itself. Fun Fact: Lee knows how to fight: she’s a black belt in both karate and kung-fu. I trust in her more than the current Iron Flop, Danny whatever. I am Anda, and the lake is my mother. 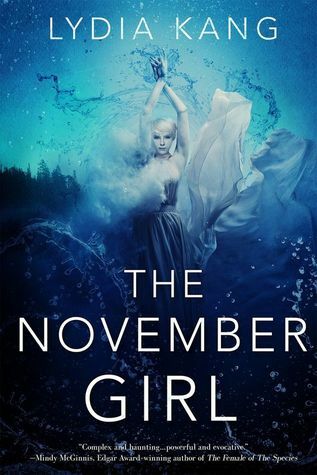 I am the November storms that terrify sailors and sink ships. With their deaths, I keep my little island on Lake Superior alive.Hector has come here to hide from his family until he turns eighteen. Isle Royale is shut down for the winter, and there’s no one here but me. And now him.Hector is running from the violence in his life, but violence runs through my veins. I should send him away, to keep him safe. But I’m half human, too, and Hector makes me want to listen to my foolish, half-human heart. And if I do, I can’t protect him from the storms coming for us. Fun Fact: Kang is a practicing medical doctor so you can trust the science in her novels. WHERE THE PAST BEGINS (Amy Tan)In Where the Past Begins, bestselling author of The Joy Luck Club and The Valley of Amazement Amy Tan is at her most intimate in revealing the truths and inspirations that underlie her extraordinary fiction. By delving into vivid memories of her traumatic childhood, confessions of self-doubt in her journals, and heartbreaking letters to and from her mother, she gives evidence to all that made it both unlikely and inevitable that she would become a writer. Through spontaneous storytelling, she shows how a fluid fictional state of mind unleashed near-forgotten memories that became the emotional nucleus of her novels.Tan explores shocking truths uncovered by family memorabilia—the real reason behind an IQ test she took at age six, why her parents lied about their education, mysteries surrounding her maternal grandmother—and, for the first time publicly, writes about her complex relationship with her father, who died when she was fifteen. Supplied with candor and characteristic humor, Where the Past Begins takes readers into the idiosyncratic workings of her writer’s mind, a journey that explores memory, imagination, and truth, with fiction serving as both her divining rod and link to meaning. Fun Fact: Tan swims with sharks when she’s not writing. I just swim in my existential despair. Similarly scary, but much less thrilling than her. In Shaker Heights, a placid, progressive suburb of Cleveland, everything is planned – from the layout of the winding roads, to the colors of the houses, to the successful lives its residents will go on to lead. And no one embodies this spirit more than Elena Richardson, whose guiding principle is playing by the rules.Enter Mia Warren – an enigmatic artist and single mother – who arrives in this idyllic bubble with her teenaged daughter Pearl, and rents a house from the Richardsons. Soon Mia and Pearl become more than tenants: all four Richardson children are drawn to the mother-daughter pair. But Mia carries with her a mysterious past and a disregard for the status quo that threatens to upend this carefully ordered community. When old family friends of the Richardsons attempt to adopt a Chinese-American baby, a custody battle erupts that dramatically divides the town–and puts Mia and Elena on opposing sides. Suspicious of Mia and her motives, Elena is determined to uncover the secrets in Mia’s past. But her obsession will come at unexpected and devastating costs.Little Fires Everywhere explores the weight of secrets, the nature of art and identity, and the ferocious pull of motherhood – and the danger of believing that following the rules can avert disaster. Fun Fact: Amazon recently announced this novel as their 2017 Book of the Year! EAST ASIA, 2199. After a great war, the East Pacific is in ruins. In brutal Neo Seoul, where status comes from success in combat, ex-gang member Lee Jaewon is a talented pilot rising in the academy’s ranks. Abandoned as a child in the slums of Old Seoul by his rebel father, Jaewon desires only to escape his past. When Jaewon is recruited into the most lucrative weapons development division in Neo Seoul, he is eager to claim his best shot at military glory.But the mission becomes more complicated when he meets Tera, a test subject in the government’s supersoldier project. Tera was trained for one purpose: to pilot one of the lethal God Machines, massive robots for a never-ending war. With secret orders to report on Tera, Jaewon becomes Tera’s partner, earning her reluctant respect. 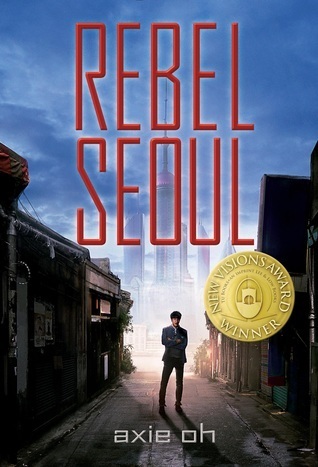 But as respect turns to love, Jaewon begins to question his loyalty to an oppressive regime that creates weapons out of humans.As the project prepares to go public amidst rumors of a rebellion, Jaewon must decide where he stands–as a soldier of the Republic, or a rebel of the people. Fun Fact: This novel won Lee and Low’s New Visions Award.